As if Yo, the app that lets users send the one-word message 'Yo' to friends, wasn't asinine enough, there comes a new app that throws sensibility to the wind: Emojli. Launching with the tagline “No words. No spam. Just emoji,” Emojli is a new app that looks to revolutionise, or perhaps degrade, the way we communicate. Not content with thousands of years worth of linguistic evolution, founders Matt Gray and Tom Scott have high hopes for the emoji-powered social network. “There is no spam, because there isn't an emoji for spam. There is one for aubergine. We're not sure why, but you can use it,” say the team, explaining why Emojli trumps other social networks. 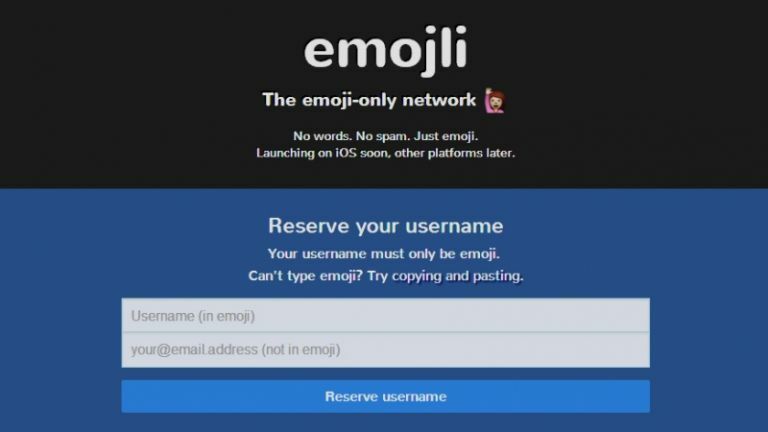 The iOS app isn't available just yet, but the Emojli team are letting would-be users reserve their usernames through their website. The catch? Your username has to be written with emoji.